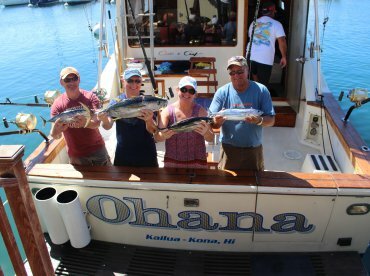 Ohana Sportfishing Adventures offers offshore experiences to suit any schedule, targeting the ocean’s top predators like Marlin, Wahoo, and Tuna. Based out of the town of Kailua-Kona on the Big Island of Hawaii, you will be fishing in some of the best offshore waters in the country, with a guide who has crewed and competed across the whole of the West Coast and beyond. 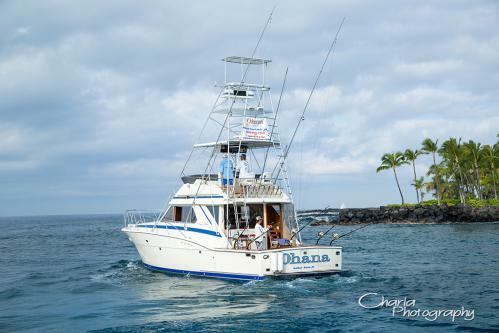 The “Ohana” is a 42’ Chris Craft sportfishing vessel, purpose-built for taking on monster pelagics in style. Powered by twin Detroit engines kicking out almost 1,000 HP each, the vessel can carry up to six guests at speed of over 25 knots. Above deck, you will find a clean, open exterior with a large flybridge to take in the views. Below, her air-conditioned interior features a full head, a galley, and a comfortable saloon. For extended trips, there are also two double staterooms and a bunk cabin, making her a real home from home. 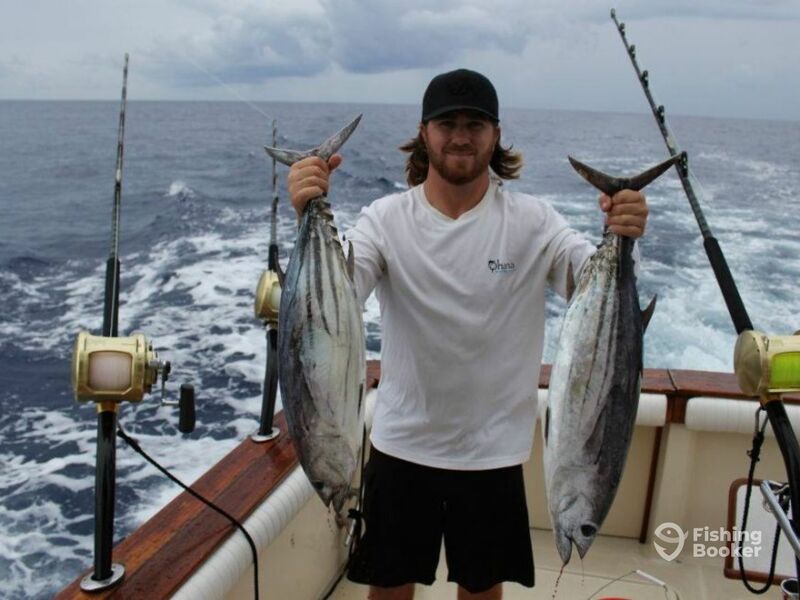 But you are looking for a fishing trip, not a cruise. 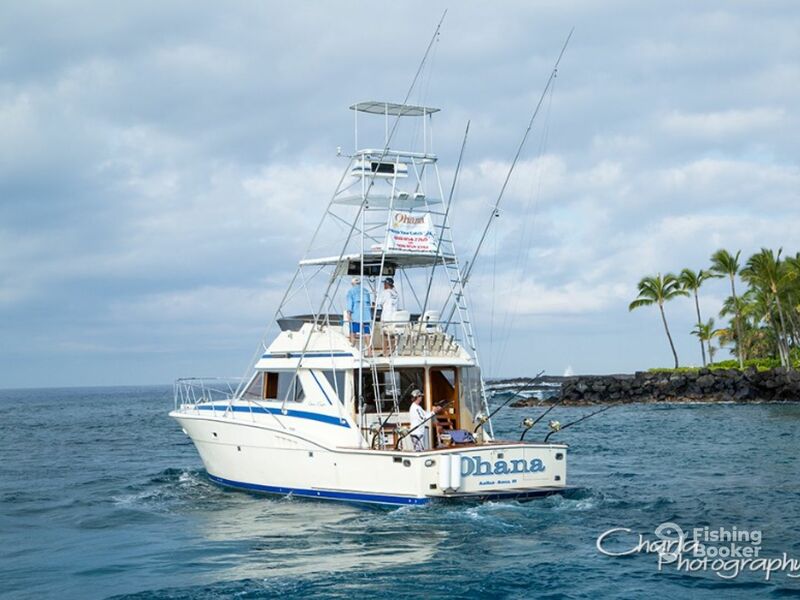 The “Ohana” is equipped with the latest electronics to make sure you always fishing in the right place. Once there, her outriggers will tempt in the fish, and her fighting chair will give you the upper hand, no matter what you are trying to pull in. 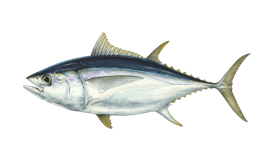 The vessel comes with tournament-grade tackle in various weight classes. You will have the option to troll, jig, and pop to bring in that fish of your dreams, and are welcome to bring your own fly gear too. 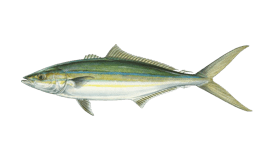 The choice doesn’t stop there, with a range of lifelike lures or a livewell and Tuna tubes for those who prefer live bait. 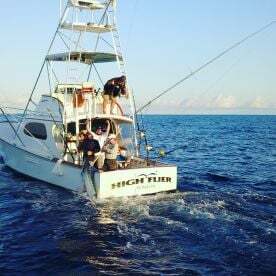 Whether you are looking for a morning stint or a multi-day marathon, these guys have the vessel, the equipment, and the experience to put you on the catch of a lifetime. 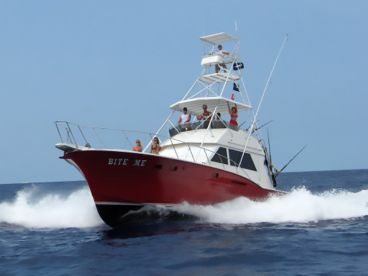 All their charters come with everything you will need, so grab your camera and your sunblock and jump aboard for that trip you have always dreamed of! The boat is yours for the whole day, so get out there and make some memories! 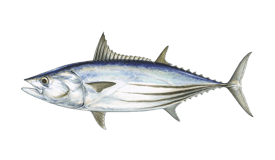 Target Yellowfin and Bigeye Tuna, Blue and White Marlin, Wahoo, Spearfish - the list just keeps going! 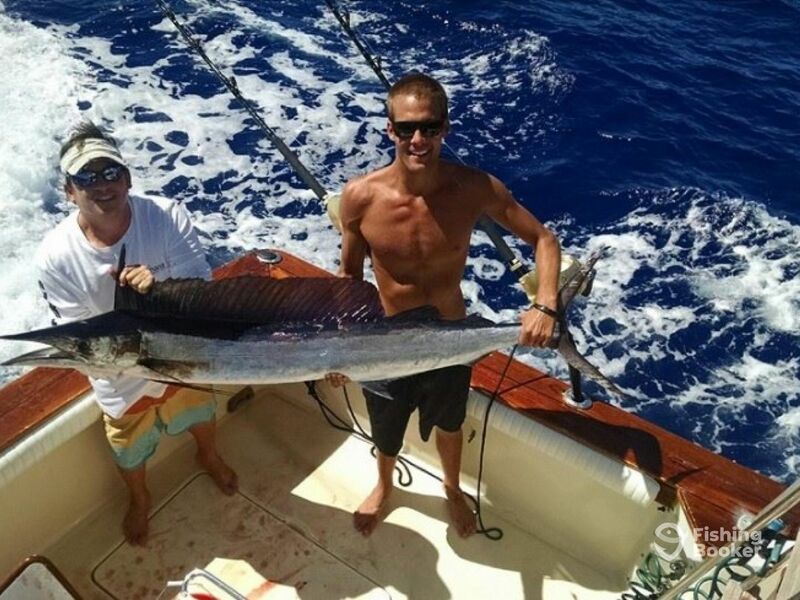 Spending a couple more hours on the water will give you time for even more great hook-ups of Marlin, Wahoo, Tuna, and more. 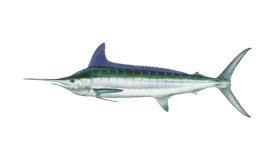 Spend the morning fishing for top pelagic predators like Mahi Mahi, Wahoo, and Marlin. 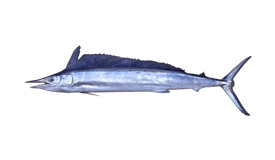 Spend the afternoon fishing for top pelagic predators like Mahi Mahi, Wahoo, and Marlin. Afternoon half days usually only run if the morning is booked out, as the fish bite better and the weather is cooler in the mornings. Chris Craft (Flybridge) originally built in 1986. Powered by 2 980HP Detroit Diesel engines, with a maximum cruising speed of 26 knots.